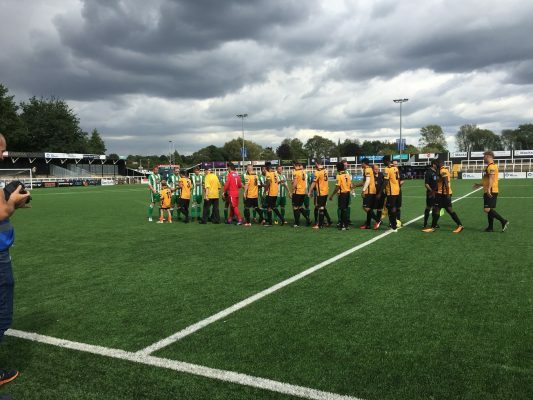 Cray Wanderers were left ruing missed chances and coming up against a keeper in inspired form as they were held to a draw by SCEFL Premier Division side Rusthall at Hayes Lane on Saturday setting up a replay in eleven days time. Cray started on the front foot with Marcus Evans having a header from a corner cleared off the line and the young centre back also headed wide soon after. The Wands continued to press Rusthall with Karl Dent having a powerful drive tipped over by Callum Christie, the midfielder also put a curling effort just wide and then hit the bar with a free kick from 25 yards out. The visitors became more physical in their approach as the half went on with Referee Joss showing four yellow cards. Malik Solebo and Aaron Rhule both had efforts well saved by Christie, while Tom Phipp shot wide. Then on 38 minutes with their first real chance Rusthall took the lead when Ryan Waterman played in Sam Murray who coolly slipped the ball under Nicky Blue to make it 1-0 to the green & whites. Before the break Dent went close again after good work from Michael Power, but The Wands went in a goal down. The second half began in the same vein with lots of Cray pressure around the box, but nothing was falling their way and the visitors’ defence stayed strong. 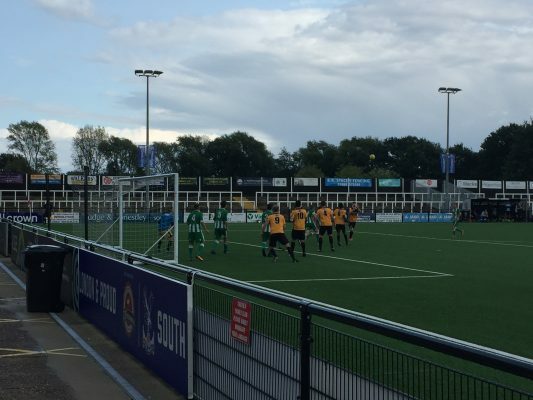 The breakthrough came just before the hour when Dent whipped in a free kick from out wide, which the unfortunate Waterman glanced into his own net past a helpless Christie. The Wands pushed for the lead from there with Phipp going close from a corner and Rhule heading a free kick wide after an awful foul on Ben Mundele on the wing. The game became increasingly more bad tempered as it went on, with off the ball incidents and the officials seemingly not noticing Power constantly being held when trying to turn his marker. When the striker did break free on the edge of the box he fired a powerful low drive that Christie once again saved well. Mundele went close late on after a strong run down the right, while Rusthall’s Alex Carey was just off target with a long range free kick. With the game finishing at a frantic pace Junior Dadson was also denied by Christie, but in the end Cray couldn’t find a way through to win the game and the sides will have to meet again at Jockey Farm on 5th September. Cray: Blue, Mundele, Williams, Phipp, Evans, Roberts, Pritchard, Dent, Power (Parker 86), Rhule (Dadson 78), Solebo (Frederico 62). Subs Not Used: Vines, Leader, Fujimade. Rusthall: Christie, Kommu, Cameron, Waterman, Bissett, Stratford, Phillips, Carey (Butler 86), Murray (Crallie 68), Corke, Fuller (Shaw 90). Subs Not Used: Jagger, Anderson, Cornish. This entry was posted	on Saturday, August 25th, 2018 at 4:55 pm	and is filed under Football, Non-League Football. You can follow any responses to this entry through the RSS 2.0 feed. Both comments and pings are currently closed.